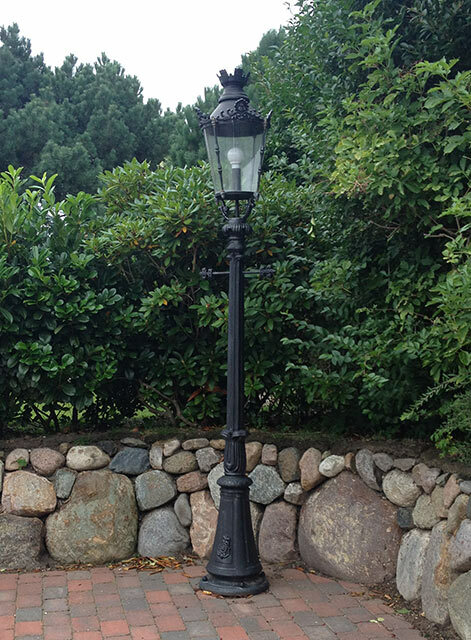 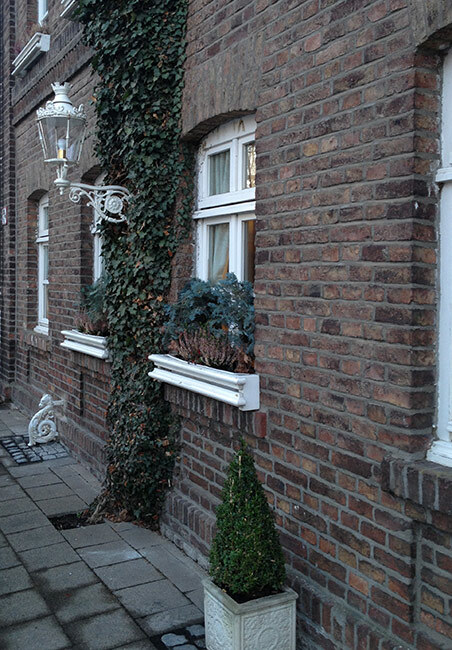 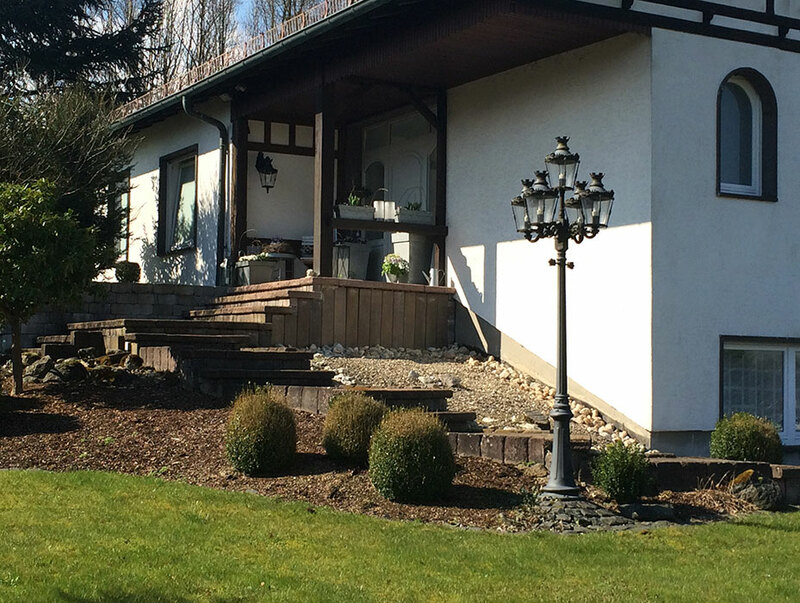 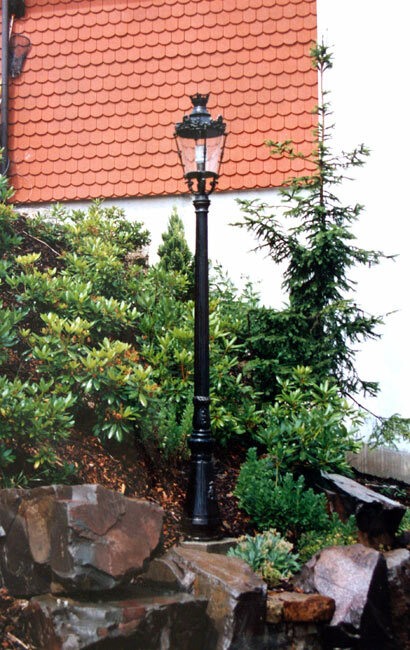 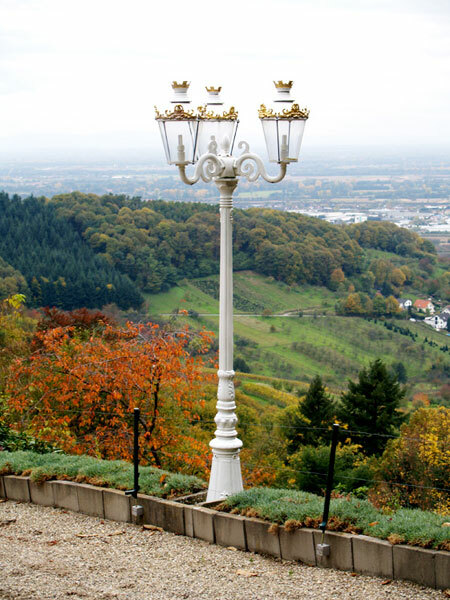 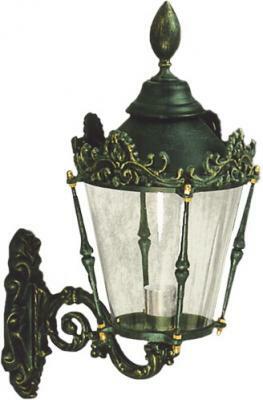 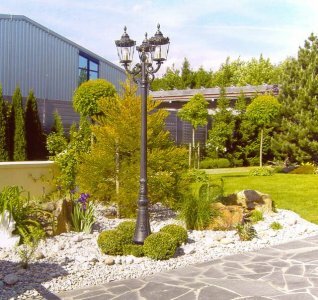 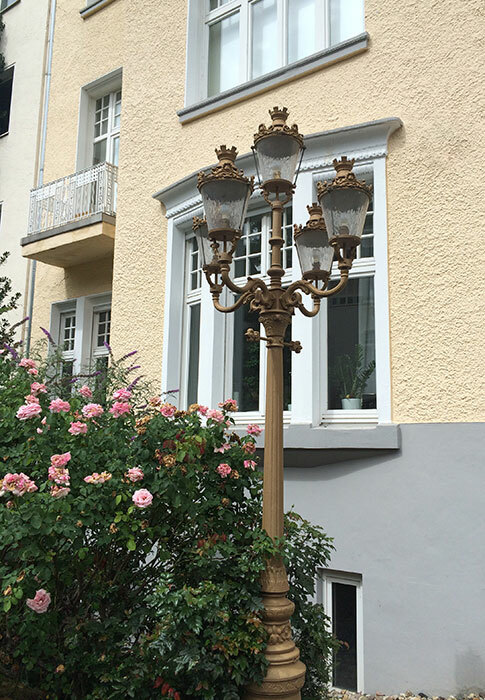 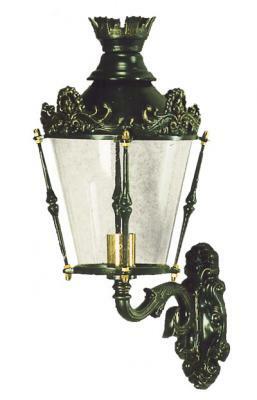 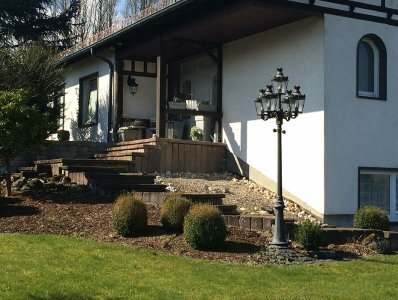 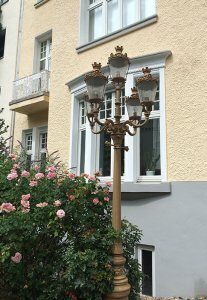 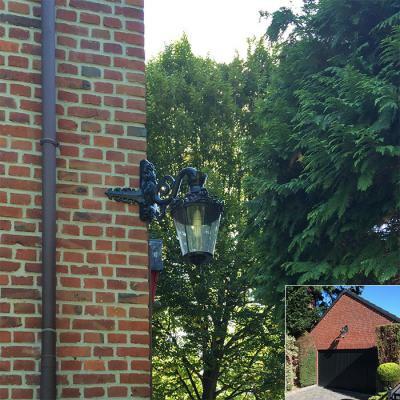 Baden-Baden lanterns are available in three different sizes, where type BB1 is the smallest and BB3 the biggest. 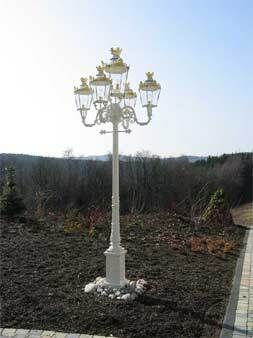 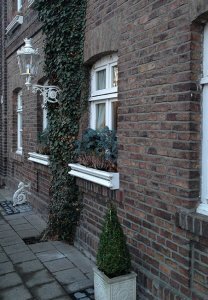 They are flexible with attached finials and crown decorations and can be mounted on each of our lantern poles and brackets. 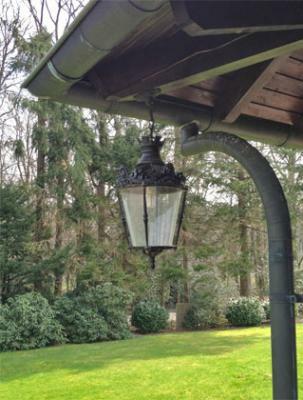 The BB3 can be equipped with candelabra socket clusters. 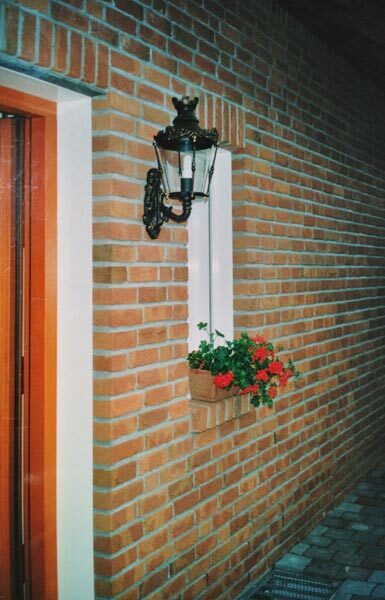 Socket covers may be painted to match color of the fixture. 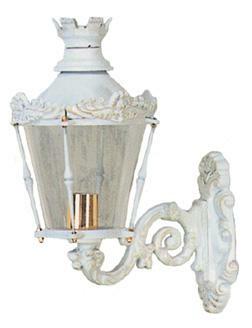 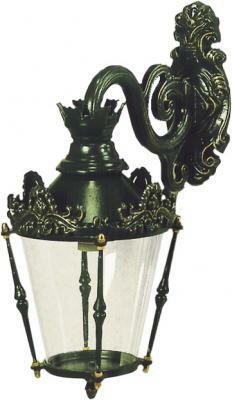 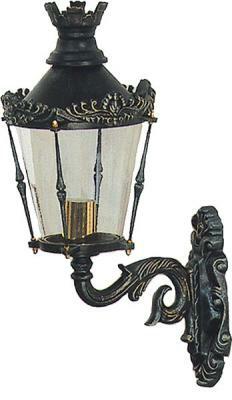 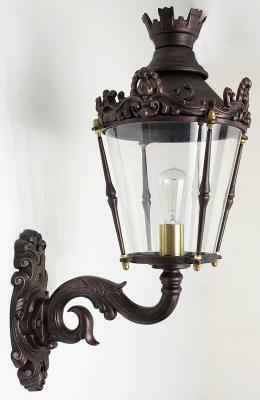 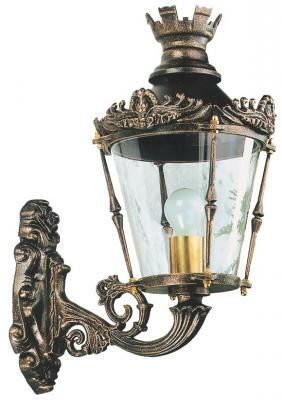 This fixture is also available with crown ornaments as seen in our fixture #1842BB2. 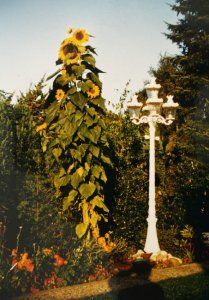 Two Crown cluster 40.9 in Diameter. With clear Plexiglas cylinder.